Discover why Elgin-based Provena Saint Joseph Hospital is working to enhance women’s health through its new clinic. The Bob & Edna Meadows Regional Cancer Center Infusion Center was designed to provide peace and serenity to those receiving treatment. Creating an airy space with much light was a high priority. Located in the heart of the Elgin community, Provena Saint Joseph has always worked hard to provide the finest possible health care to all people, regardless of gender or age. In recent years, Provena has responded to an increased demand for women’s services by opening its Breast Health Center, the Women’s Heart Center and the Bob & Edna Meadows Regional Cancer Center. The two leading causes of death for women remain heart disease and cancer. The center focuses on a wellness perspective, says Mika, in an effort to combat problems before they develop. During a one-hour appointment, risk factors are determined by a series of measurements and tests including cholesterol, blood glucose, weight, height and blood pressure, including in the arms and legs, to screen for peripheral artery disease (PAD). “An ABI [ankle-brachial index] is a simple test that compares the blood pressure in your ankles with the blood pressure in your arms to determine if you are at risk for PAD,” says Mika. Once the information is gathered, a patient is given a printed evaluation. A nurse with the Women’s Heart Center discusses the results and recommends a preventive plan of action. Provena Saint Joseph Hospital is a sponsor of the American Heart Association’s Go Red program, and it routinely hosts luncheons and educational events to spread the word about improving women’s heart health. 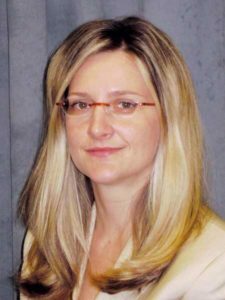 Dr. Agnieszka Silbert is a cardiologist who specializes in women’s heart disease and preventive medicine. 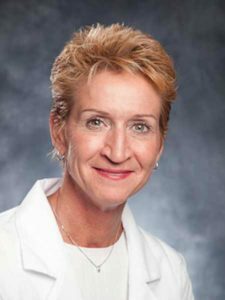 She’s also the medical director of the Women’s Heart Center at Provena Saint Joseph, which opened last February and is housed within the hospital’s Heart & Vascular Institute. Silbert adds that when she came to Provena Saint Joseph, she felt there was a real opportunity to bring women’s heart health issues to the forefront. Today, the Women’s Heart Center is a woman-to-woman endeavor which screens for cardiovascular and peripheral vascular disease. Silbert says the program mainly attracts women between the ages of 40 and 70 who don’t necessarily have heart disease but may be experiencing some of the symptoms, or those who are worried they might be at risk because of their family histories, current health status or potential harmful habits. Screening involves compiling a family history and identifying mothers and grandmothers who have had heart attacks or heart disease; talking about diet, comfort food and habits, such as smoking and excessive drinking; and conducting cholesterol panels and arterial examinations. The center sees two different kinds of patients: those who are curious or concerned about their heart health because of family history, and women who are at risk. Silbert explains that at-risk women are frequently under-diagnosed, because their warning signs differ from those that men experience. They may not feel enough sense of urgency, and then try to figure their symptoms on their own. The entire medical and sociological community may downplay a woman’s symptoms, by assuming she is depressed, stressed or paranoid. Then everyone is surprised when she has a heart attack. Silbert describes Provena’s Women’s Heart Center as sort of a “mom-and-pop” operation, carried out on a smaller, more intimate level than found in most major heart health centers. Women’s cancers are another major health concern. 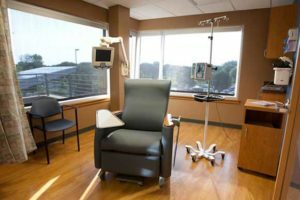 Two years ago, Provena Saint Joseph opened its Bob & Edna Meadows Cancer Care Center, consolidating infusion, radiation and other cancer treatment programs into a 25,000-square-foot, two-floor addition. The Breast Program, an integral part of the cancer center, officially started on Oct. 4. 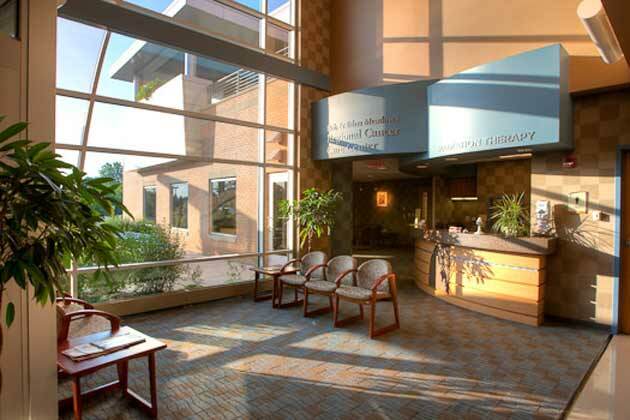 With its natural light and soft, soothing colors, the center is dedicated to providing the latest in diagnostic, radiation and infusion technologies. Provena Saint Joseph also has introduced a new radiation procedure that significantly speeds the treatment and healing process for breast cancer patients. Beyond diagnosis and treatment, the center stresses survivorship and continued care. 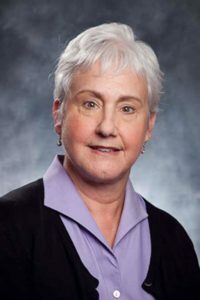 Duval says that in 2009, Provena Saint Joseph received a Susan G. Komen grant, which it applied to an outreach program for senior women, encouraging them to continue annual mammograms. More than 300 women participated. One of those services involves recently-upgraded mammography capability. 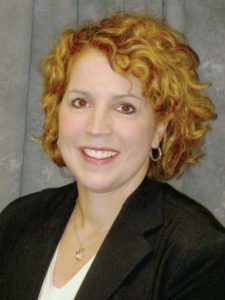 Director of Medical Imaging Laurie Schachtner, MBA, CRA, FACHE, RT (R) (M), says Provena invested $1 million for two Hologic digital mammography imaging machines about one year ago, which are enhanced with computer-aided detection capabilities that mark areas of concern. Provena radiologists can now magnify, darken and lighten images to enhance anomalies. 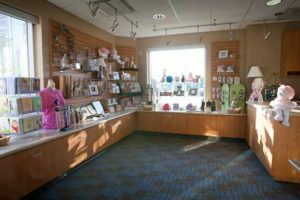 A special boutique for patients provides not only necessary clinical products but also inspirational items such as books, plaques and T-shirts. 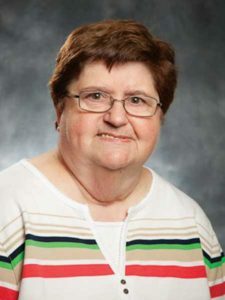 Provena Saint Joseph conducts an average of 520 mammograms each month, offering expanded hours on evenings and Saturdays, so that “there are no excuses,” as Schachtner puts it. Schachtner says everyone is proud of the Breast Health Center, with its new bed tower and expanded footprint. Ancillary services are an equally important part of Provena Saint Joseph’s expanded focus on women’s health. Linda Roherty provides one of these, for women who have had lymph nodes removed as part of breast cancer treatment. 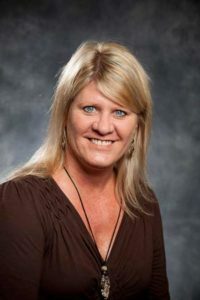 A physical therapist, Roherty is also a certified lymphedema specialist who, for the past 12 years, has provided rehabilitation for the swelling and pain that sometimes accompanies lymph node surgery and radiation therapy. She explains that lymphedema occurs because removal of lymph nodes reduces the pathways for fluid to move through the body, which in turn can cause painful swelling. While some people are born with lymphedema and others develop it later, cancer treatment is its No. 1 cause in the United States. Even the chairs in the Provena St. Joseph’s women’s center were meticulously selected for patients’ highest level of comfort. Roherty says women shouldn’t have blood drawn or blood pressure tests performed on the arm where lymph nodes were removed. Of 100 women who had blood drawn from the same arm, every one ended with lymphedema. 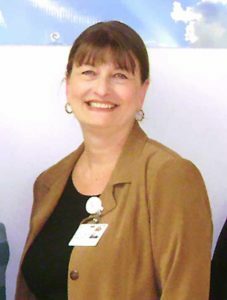 Jane Cosentino is a nurse navigator who guides patients through the frightening and often-confusing processes involved in cancer treatment. “To be honest, I believe my job is the most exciting one, because it’s good to start with patients at the very beginning of their diagnosis and see them all the way through treatment and follow-up care,” she says. Cosentino’s background in oncology reaches back to the 1980s. She has a unique perspective on what patients go through, after being diagnosed, because of the diverse settings in which she has worked. Contacting doctors’ offices, getting orders faxed and working with both surgeons and central admitting are all among routine tasks for Cosentino, who calls herself a “shmoozer” who maintains positive give-and-take relationships around the hospital and surrounding medical practices. Laurie Cox, an art therapist and oncology counselor for the cancer center, provides another ancillary service for patients. She says that creating art can help to reduce heart rate and blood pressure, promote relaxation and refocus the patient’s attention away from the pain and anxiety that naturally occur during treatment. Cox’s therapeutic interventions include two- and three-dimensional arts, such as drawing, painting and mask-making. She brings art materials into the chemotherapy areas, where women seated in lounge chairs can work on projects, not only as a way to pass the time, but also as a distraction. Verbal therapy is another way in which Cox helps cancer patients to cope. She says that talking through anxieties and fears about their diagnosis, treatment, finances and relationships helps them to adjust more readily to the whole process, which, after all, impacts many people who are close to the patient. The rapport which develops between therapists and patients may be the bridge which guides them from diagnosis and treatment to a better tomorrow. This entry was posted on Friday, January 21st, 2011 at 4:57 pm	and is filed under Health & Fitness, Top Posts. You can follow any responses to this entry through the RSS 2.0 feed. Both comments and pings are currently closed.